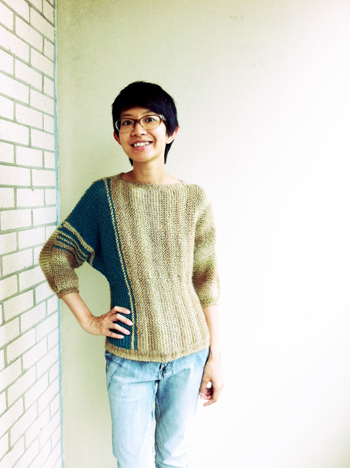 A sandy‐coloured sweater! 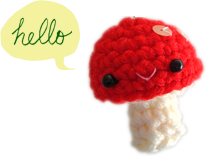 :D KNITTED!! I’ve always wanted to try a pattern by Pickles. 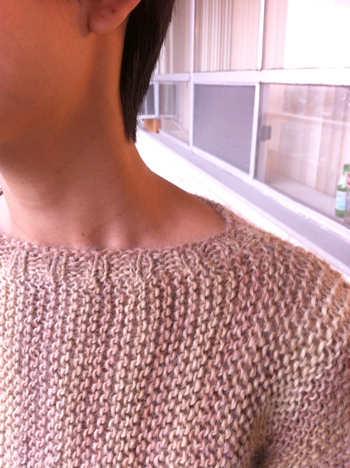 They always look really stylish and seem simple to knit. Simple enough for someone who doesn’t knit very much, like me. Here’s how the back looks, it has a different stripping pattern than the front. 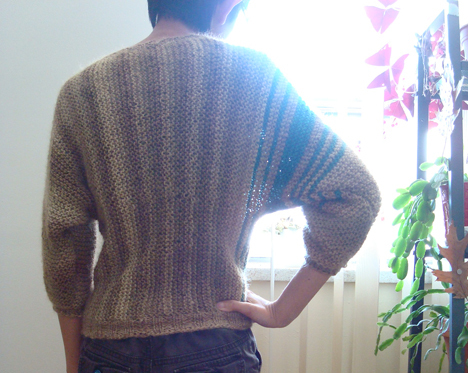 I also made the sleeves and the bottom half of the sweater longer than instructed. More precisely (if you’re interested in making the sweater), the bottom part of the body (below the beginning of the bat wing sleeve) has 30 stitches in length, compared to 16 stitches in the pattern. And I did several more increases for the sleeve, ended up with 38 stitches before casting on extra stitches for the body. 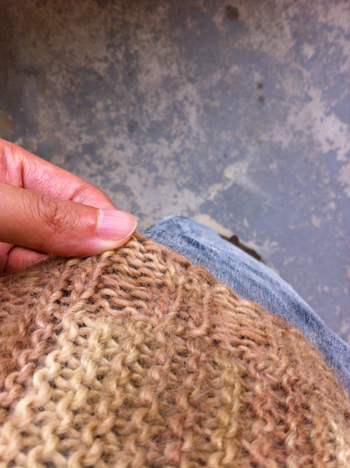 The collar and the bottom edge are knitted on circular needles back and forth, and then the ends are sewn together. The sleeve cuffs however, are knitted *in the round* on DPNs — a new thing I don’t have a lot of practice with and pretty much avoid in patterns. It’s really not that hard but I’m still quite happy about it :D I used Lacey Bind off so it’s stretchy (#3 on the list in the link). Nice job! Love the color combination and the style. You will get a lot of use out of this sweater in the fall! thanks laura! yes, this pattern is very doable for beginners, a great way to practice the basic increase, decrease and cast‐on too.